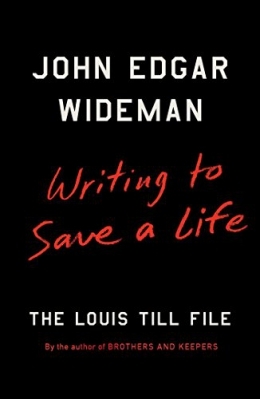 "In The Louis Till File, John Edgar Wideman searches for Louis Till, a silent victim of American injustice. Wideman's personal interaction with the story began when he learned of Emmett|s murder in 1955; Wideman was also fourteen years old. After reading decades later about Louis| execution, he couldn't escape the twin tragedies of father and son, and tells their stories together for the first time. Author of the award-winning Brothers and Keepers, Wideman brings extraordinary insight and a haunting intimacy to this devastating story. An amalgam of research, memoir, and imagination, The Louis Till File is completely original in its delivery--an engaging and enlightening conversation between generations, the living and the dead, fathers and sons. Wideman turns seventy-five this year, and he brings the force of his substantial intellect and experience to this beautiful, stirring book, his first nonfiction in fifteen years." -- Baker & Taylor. Louis Till -- The file -- Graves. United States. Army. Transportation Command. Battalion, 379th. Company, 177th -- Biography. World War, 1939-1945 -- African Americans -- Biography. War crimes -- History -- 20th century. African American men -- Social conditions -- 20th century. Italy -- History -- 20th century.